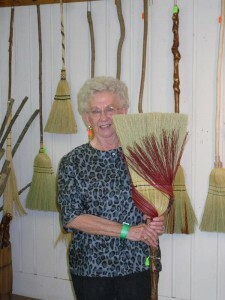 Happy customer with a new kitchen broom. 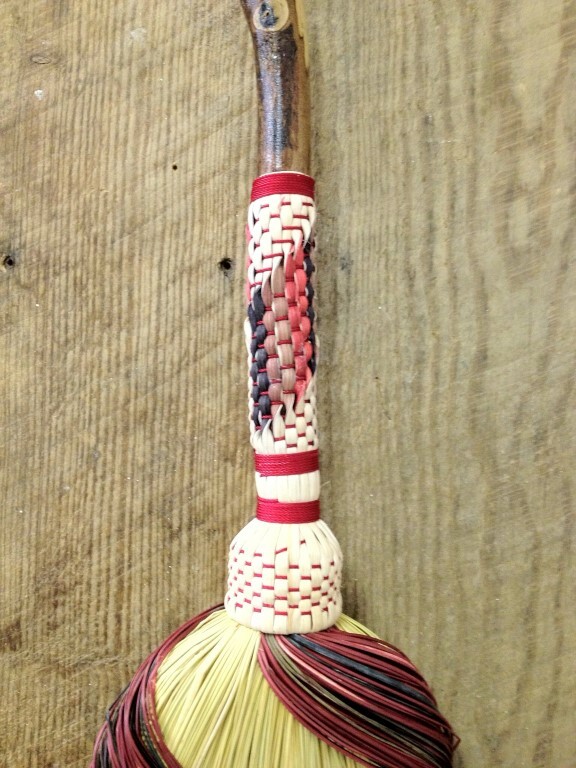 C. Beautiful, select Ozark hardwood handle instead of an aluminum tube or pine dowel. 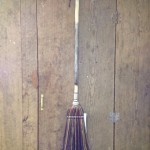 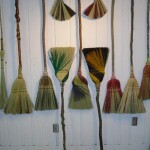 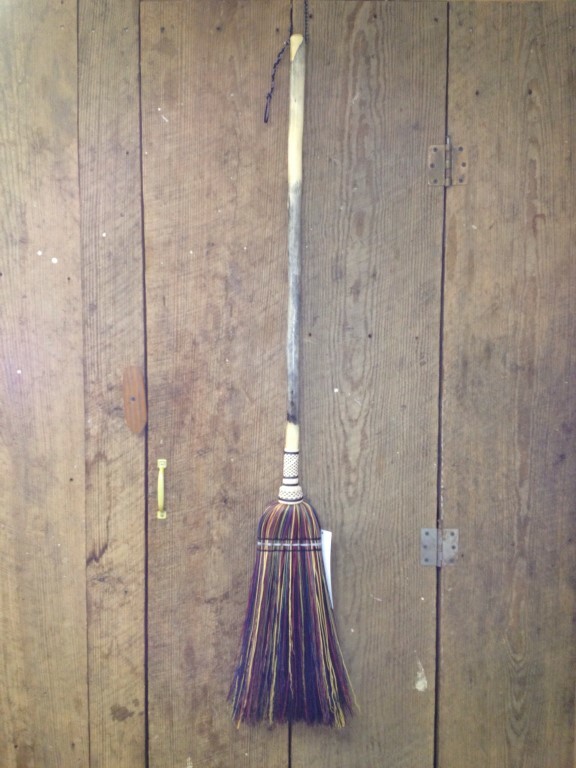 D. Our brooms are double bound. 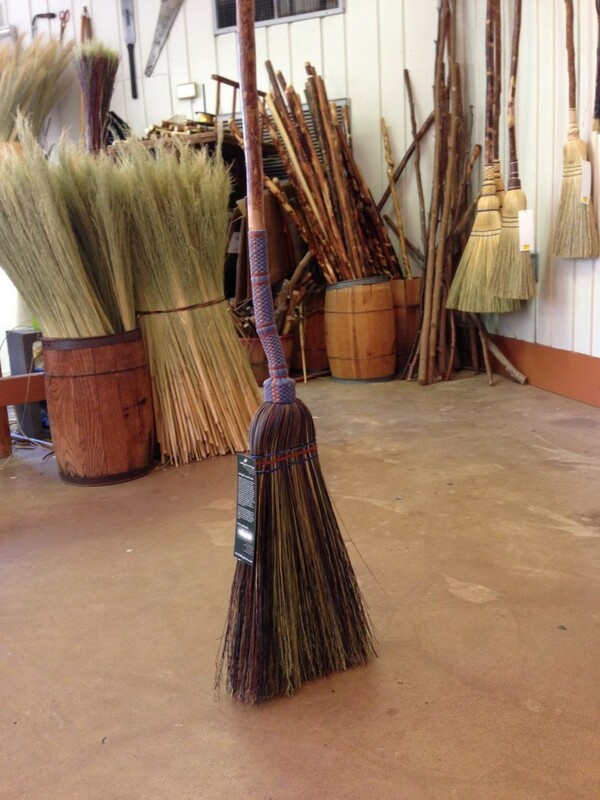 We bind the entire broom once with stout 17 ga. galvanized wire, then bind it again with twine and reed or stalk to protect and tighten the wires underneath. 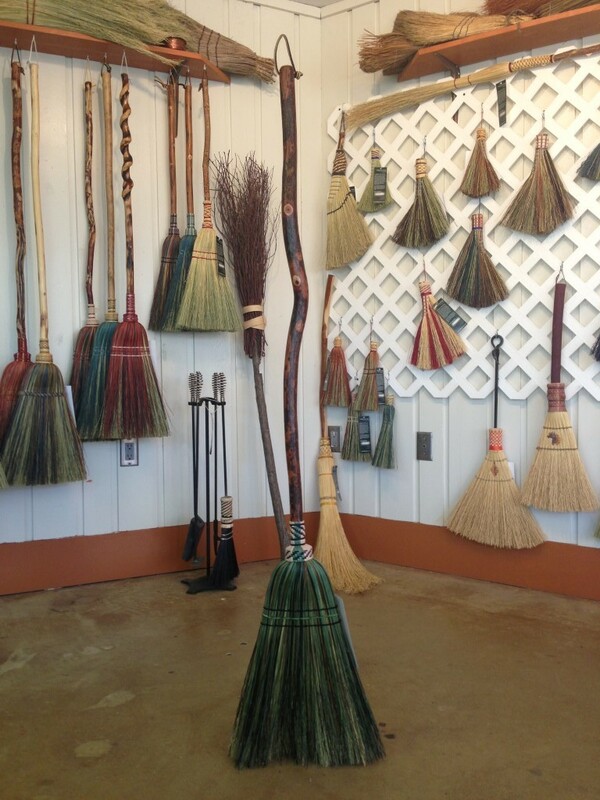 E. “Beautiful!” That’s the comment we hear most often when people look at our kitchen brooms. 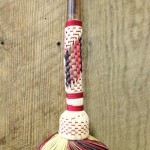 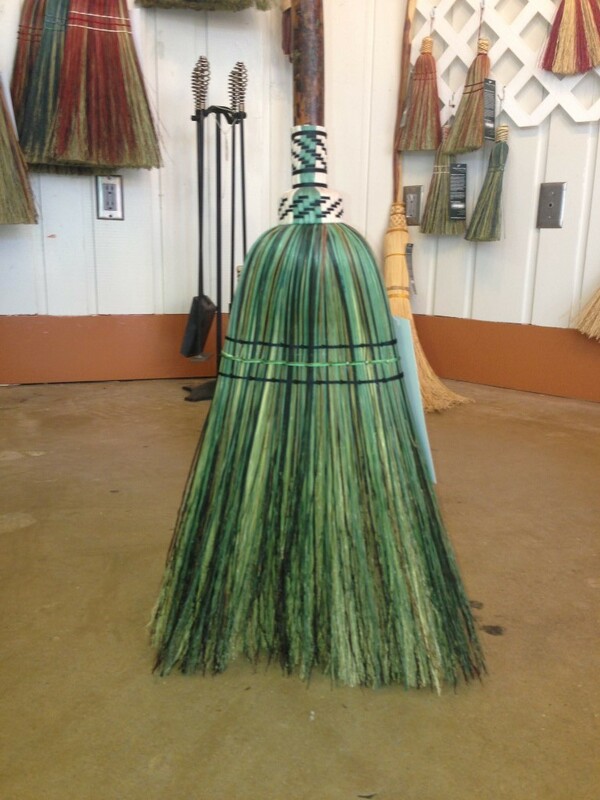 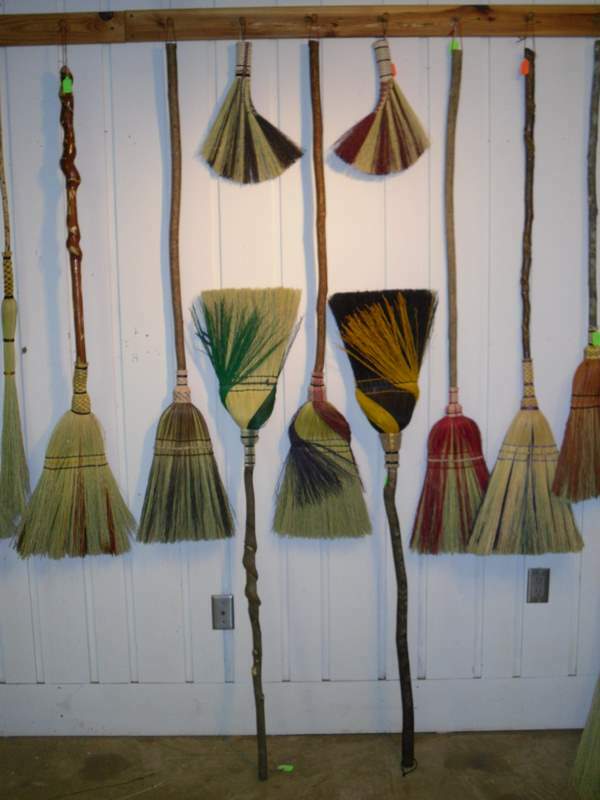 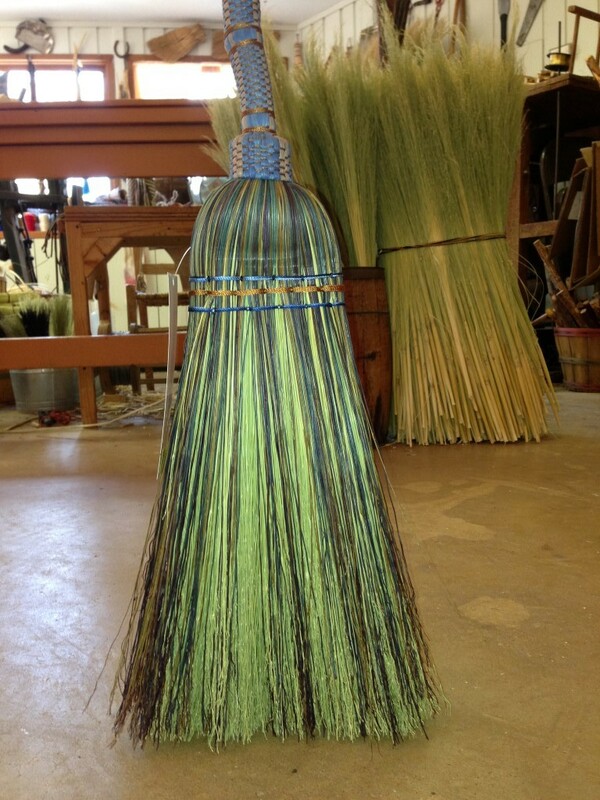 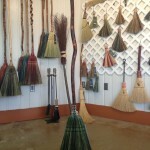 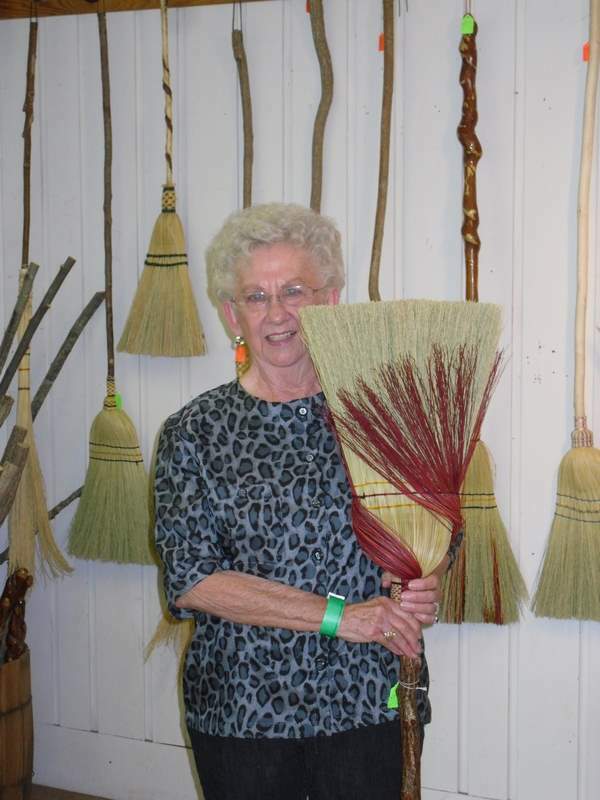 Our selective use of color, along with the braid or plait, and the beautiful hardwood handle makes for a broom that can be displayed as art, and used daily. 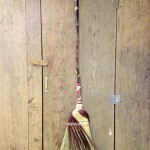 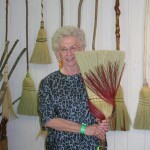 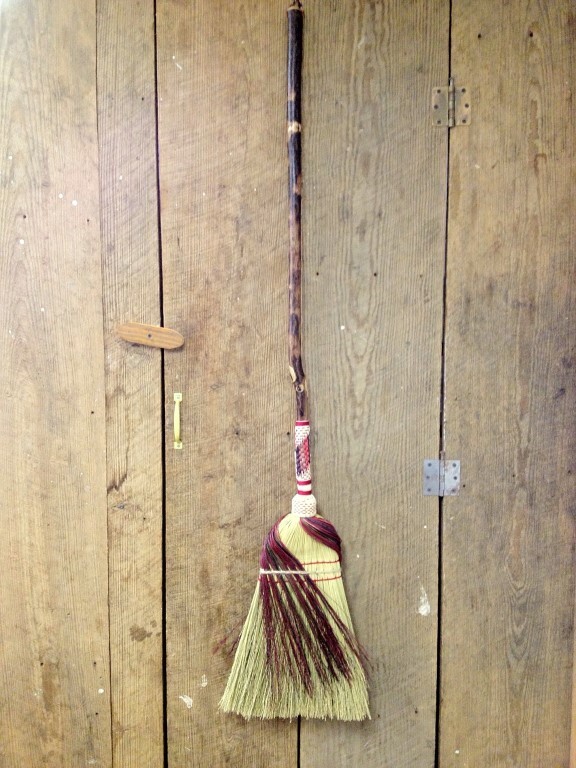 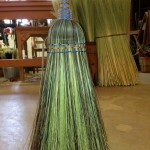 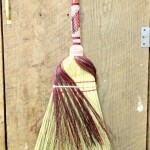 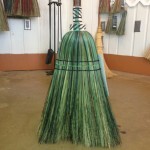 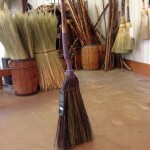 We use more than a pound of broomcorn and bind it to a 42 inch handle in 7 layers to create the kitchen brooms. 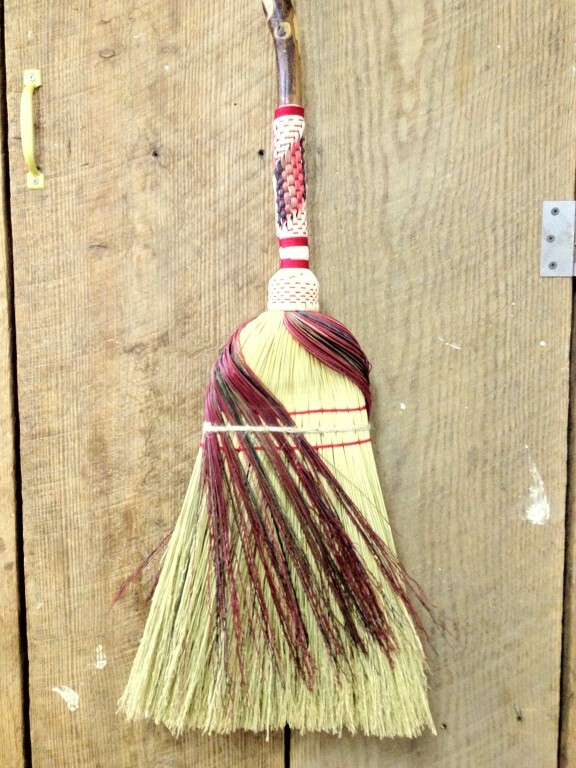 The parlor brooms use a little less broomcorn (around 3/4 pound) on a smaller handle (36 inches) because not everyone needs a big broom.